Ability to examine and understand who we are relative to the world around us. Every parent wants their son or daughter to feel passionate about what they do, to pursue interests that fuel happiness and provide a sense of accomplishment. But what if your child’s passions aren’t obvious? What if they seem to drift from one thing to another, but nothing really takes hold? Or if “selfies” and video games seem to take up most of their free time? Having activities, dreams, and passions positively affects many areas of a young person’s life — their ability to set and achieve goals, feel successful, and develop deep personal connections. Discovering life passions deepens a child’s self-awareness and increases self-confidence. From my latest book, Ignite Your Spark: Discovering Who You Are From the Inside Out, here are steps that will help your child develop a growth mindset, to try new things, re-think possibilities for their future, seek relationships that support their ambitions, and yes, feel passionate about life! Is your child obsessed with video games? Then explore coding, 3D game design, or animation. Every activity has room for growth and can lead to a life-long passion. Kids often identify the most glamorous roles for their future occupation and lose interest when they don’t think it can become a reality. Show them ways to adapt their passion into a new reality. Just because they won’t be the next Michael Jordan doesn’t mean they can’t be part of the game. 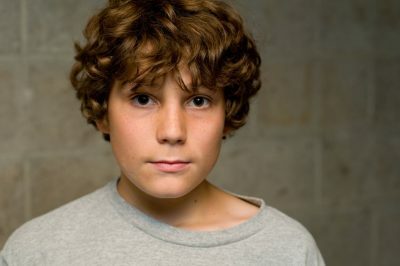 A child with a passion for sports can be a coach, journalist, sportscaster, or athletic clothing designer. There’s only one Beyonce, but having a great singing voice isn’t the only way to enjoy music. The industry needs choreographers, music producers, and promoters. Many children believe they need to wait until they’re older to go after their dreams. But it’s never too early to start planning for a brighter future. If your child has fun doing what they do, then they’ll be more productive. They’ll spend more time thinking, learning, and doing their passion. They will learn to focus their goals around those things that bring them enjoyment. Gaining new skills and improving their performance are great motivators, which can be accomplished through deliberate practice. This is where each activity is broken down into the smallest possible segments so each step can be mastered. For example, if your child wanted to get better at recording YouTube videos they could start by only recording their introduction. They could focus on the speed of their introduction, voice inflection, and their facial expressions in front of the camera. They might set a goal of recording five a day for a week until they feel comfortable with their introductions. Your child may not think this is very fun, but deliberate practice will take their performance from good to great. What’s their ultimate end-game? Starting a social service organization? Publishing a book? Going to college on a tennis scholarship? They have a better chance of getting where they want to go by incorporating short-term goals into their long-term plans. Volunteer at a pet shelter. Start a non-profit to benefit dogs. Post stories on an online sharing site like Wattpad. Publish a mystery novel. Practice the basic skills of the game 3x week. Get into college on a tennis scholarship. Help your child seek out relationships with people who share their same interests. This will give them the opportunity to network with people who enjoy their activities, gain encouragement, and develop a deeper passion for what they are doing. Not only will this expand your child’s social circle, but it will open their eyes to new people with new ideas. Just remember, the end game is to raise a happy and healthy child. While academics are one piece of the puzzle; their personal development relies on a combination of several pieces. Let’s help them find those opportunities where they can succeed, grow, and develop a life-long passion for trying new things. Coyle, Daniel. The Talent Code: Greatness Isn’t Born It’s Grown. Here’s How. New York, NY: Bantam Dell; 2009. Duckworth, Angela. Grit: The Power of Passion and Perseverance. New York, NY: Scribner; 2016. Dweck, Carol. Mindset: The New Psychology of Success. New York, NY: Ballantine Books; 2006. Patricia Wooster is an author and teen advocate. 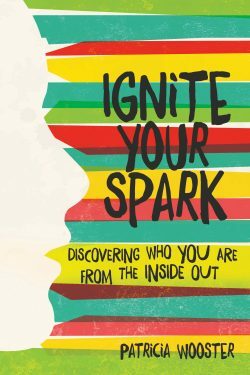 Her latest book, Ignite Your Spark: Discovering Who You Are From the Inside Out, helps youth forge their own path and create a personal identity. She lives in Tampa, Florida, with her husband and two sons.